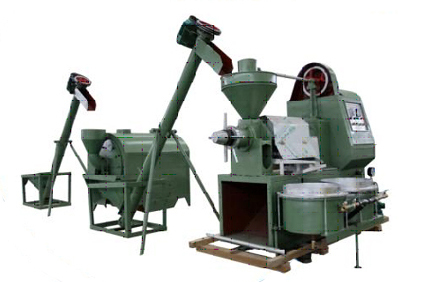 The oil pressing plant has advantages of easy operating, convenient installing and commissioning. The small oil pressing line only need small investment, fewer land space, but with the complete function of the production. The small oil pressing plant need fewer labor than the single machines, with our considerable design, it only needs 2~3 persons to running the whole line, the semi- continuous also can avoid the unstable material feeding caused by manual. The lower invest but with higher output, under the higher labor cost situation, the semi-continuous make the worker safety more under the higher temperature working situation.